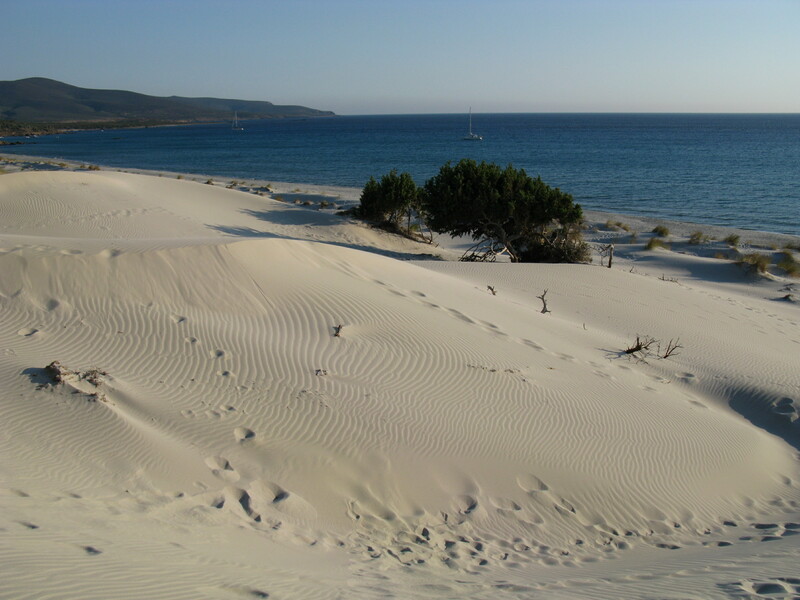 It is a very long sandy Caribbean beach with amazing sandy white dune. 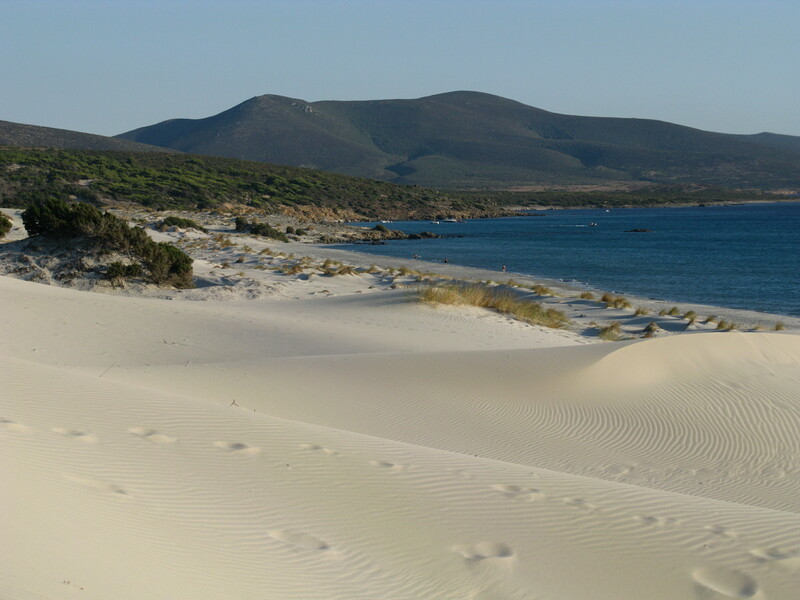 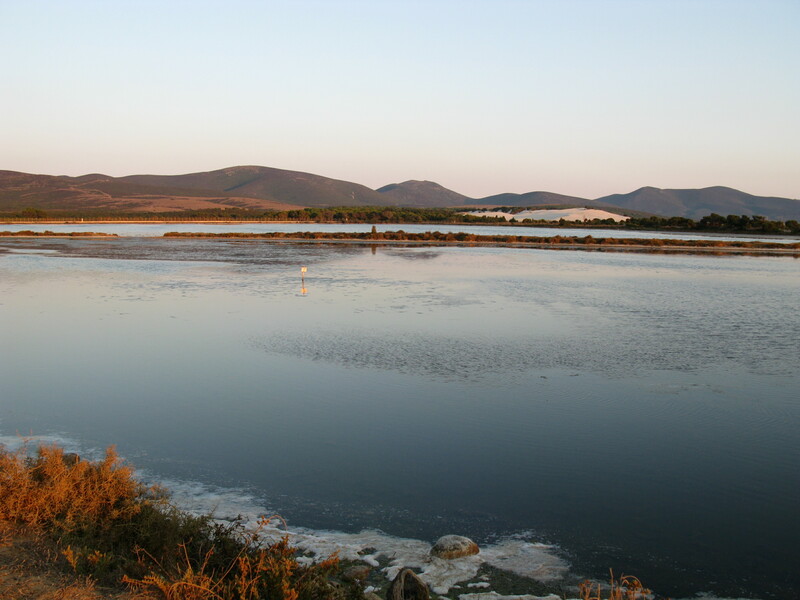 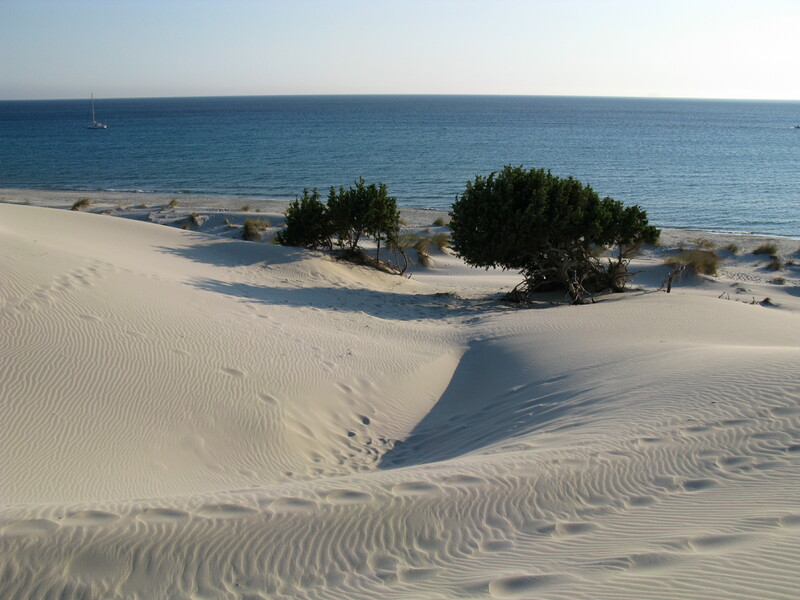 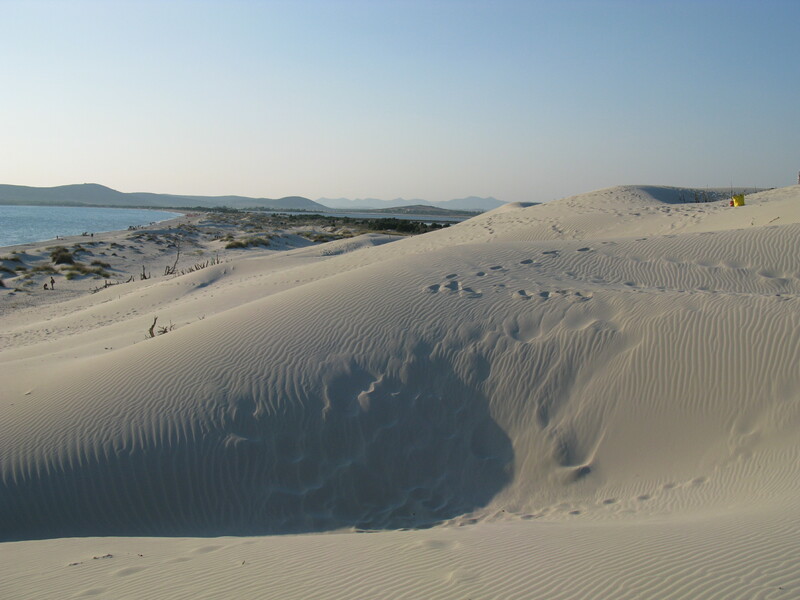 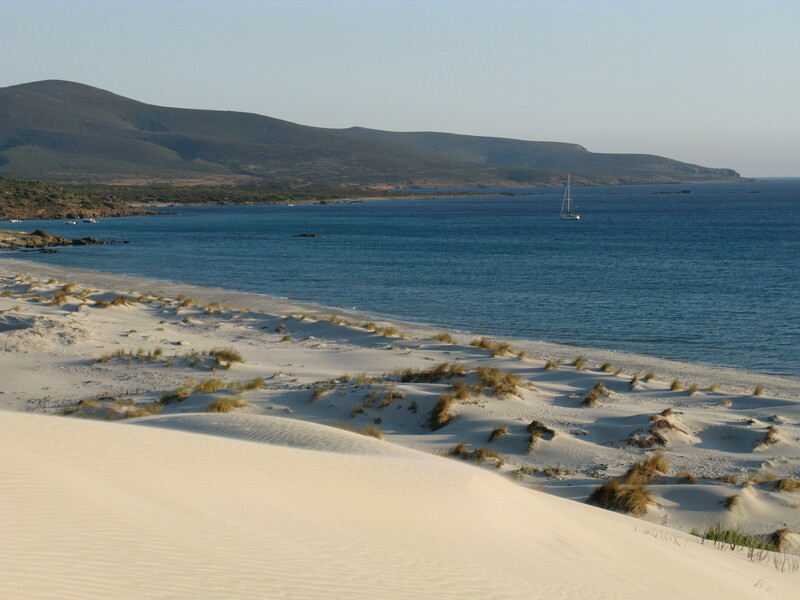 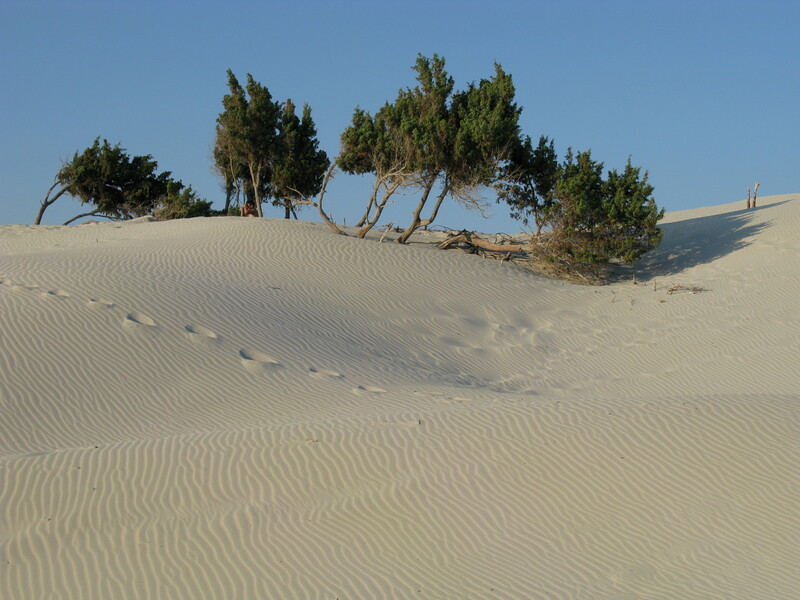 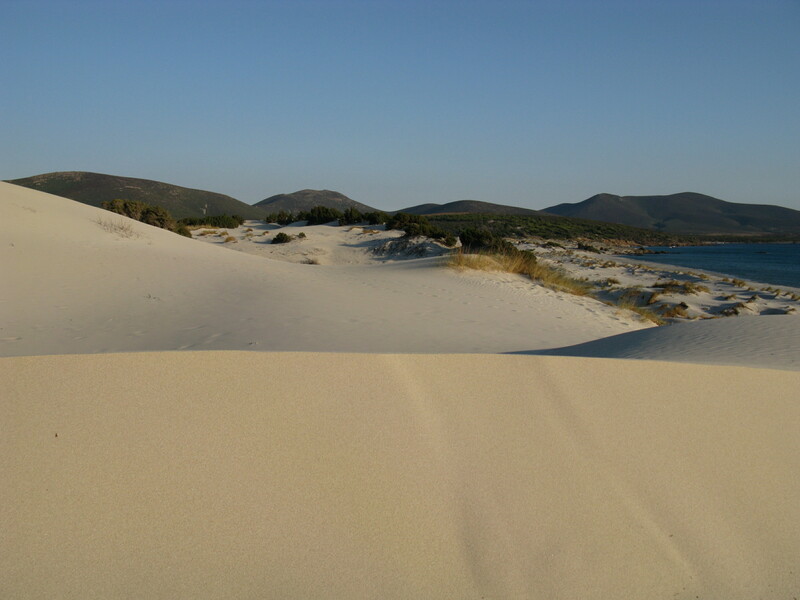 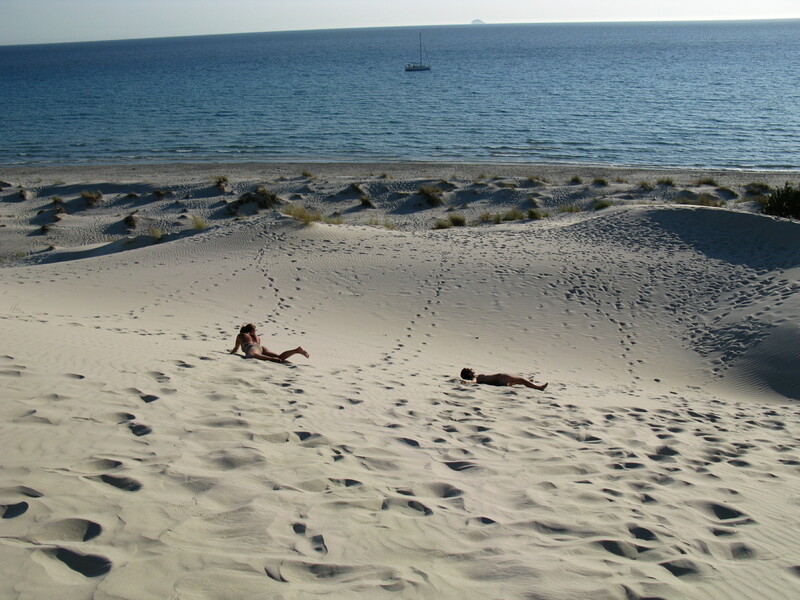 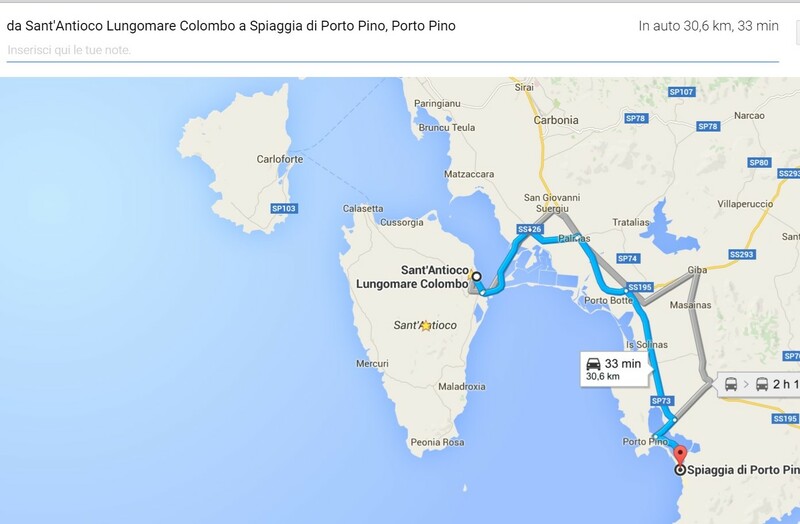 There are three beaches: Porto Pino 1st beach, 2nd beach and Dunes. 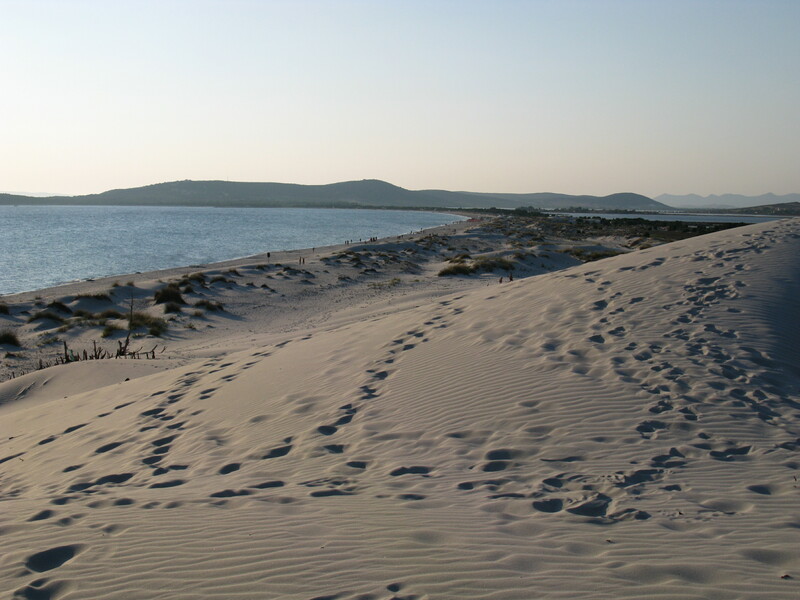 There are parking areas connected to each beach, part is equipped and part is free. 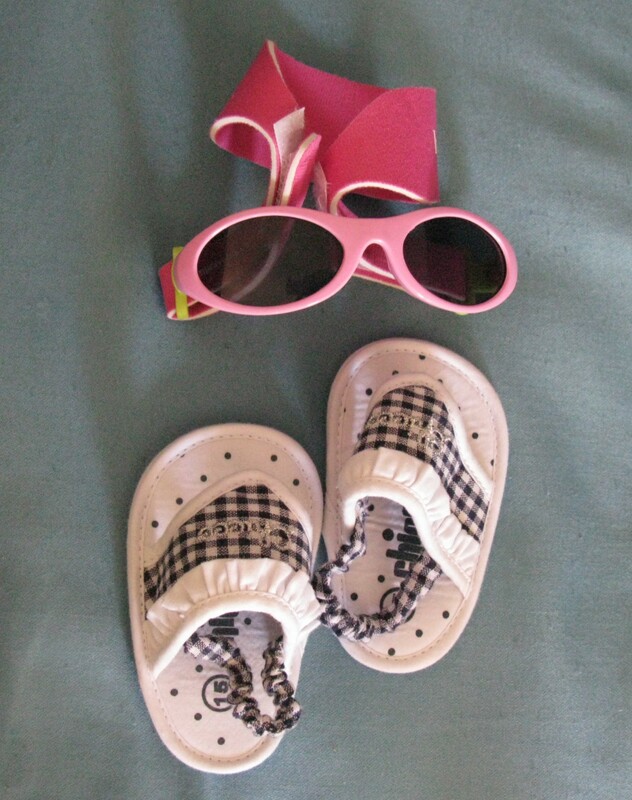 It is kids friendly and it is amazing: enjoy my pictures!